We would all like to spend more time in the natural world, yet modern life leaves us with precious few hours for leisure. So what’s the solution? With internal courtyards providing a constant backdrop of nature inside the home, it is easy to see why they’re rising in popularity. Courtyard House by Davis Architects. Internal courtyards have a very contemporary appeal. But the idea of them is not new (outside of Australia, that is). In Mexico, haciendas are built with colourful courtyards for gathering and preparing food. While in Japan, the addition of nature into a living space creates the feeling of tranquility synonymous with Japanese culture. So why are we only now embracing this concept in Australia? Where the quarter-acre block once gave us an abundance of outdoor space, the reality of contemporary living has changed drastically. 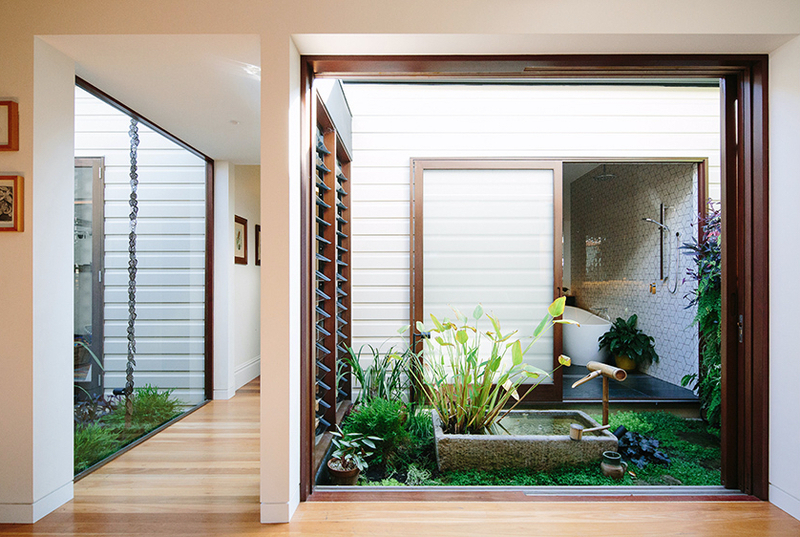 Not only is an internal courtyard a practical alternative to the quintessential Aussie backyard, it also offers a number of practical advantages in terms of your home’s energy consumption and liveability. It’s for all of these reasons that we’ve been championing internal courtyards for some years now. And now as the internal courtyards we are working on start to take shape (we can’t wait to share them when they’re complete), we wanted to share the lessons we have learned along the way. 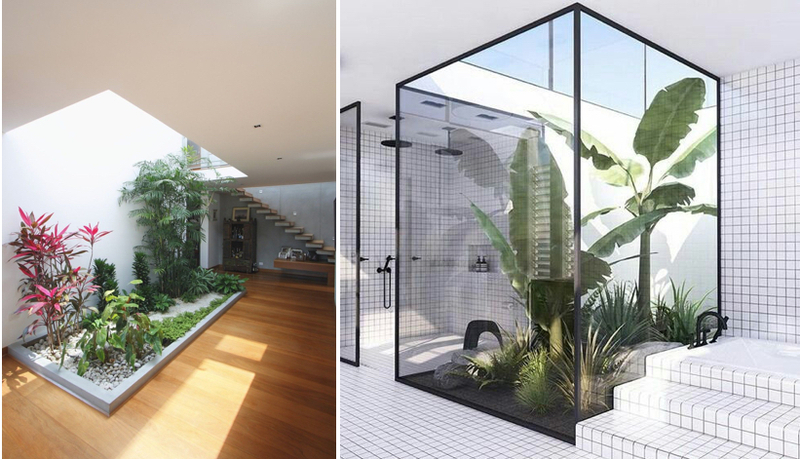 Here are the key considerations to bear in mind when planning and designing an internal courtyard. Allens Rivulet House in Tasmania by Room11. Photography by Ben Hosking. It’s often the case that the spaces in the centre of the home are also the darkest. As a result, they’re not as enjoyable to spend time in, and that’s one of the big drawcards of internal courtyards – they bring light, fresh air and plant life into the heart of the home. Depending on how much space you have, you may design a small courtyard simply for this purpose. This natural focal point is a calming antidote to the outside world – a simple luxury that now eludes many city-dwellers. The number of benefits associated with this style of design (known as biophilic design) is growing as more research is conducted on the connection between people and the natural world. In larger homes, a central courtyard becomes an extension of the living space – a place for entertaining, relaxing and secure play for children. Decide early on how you want to use the space, and plan accordingly (more on that below). L to R: Casa Cachalotes in Mexico by Oscar Gonzalez Moix. Photography by Juan Solano Ojasiy. Image via My Paradissi. Whether your internal courtyard is a functional living area or a small-scale garden such as these, think of it as a space for discovery. The planting schemes in these gardens not only work in their respective environments, they also engage the senses. Contrasting height, colour and texture among the plants, stones and interior holds attention, creating scenes ready for visual exploration. Visual discovery can take many forms. In the case of the Japanese-style garden pictured at the top of this article, for example, the addition of water exerts a calming presence and draws the eye further in to the space. This piece of wisdom is vital when it comes to internal courtyards. These spaces breathe life into the home, and proper planning will mean you gain the full benefits of natural light and ventilation, while also having adequate screening from these things too. When these spaces and factors are considered at an early stage of a build or renovation, we can integrate them naturally into the home with your contractors. This makes their installation a far smoother and more cost-effective process, and your plants will be happier for the planning you put into their environment! In terms of selecting the right plants, ensure they will not outgrow the space and that there’s enough light, soil and drainage for them to thrive.